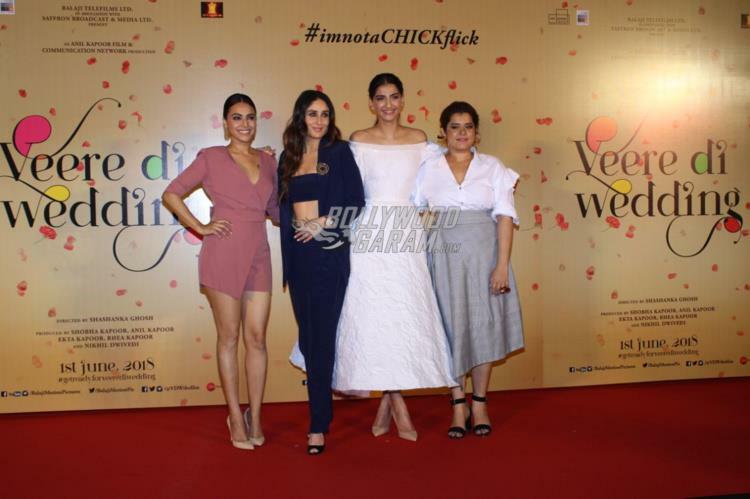 Official trailer of much awaited Veere Di Wedding out now! Home Gallery Official trailer of much awaited Veere Di Wedding out now! The wait is finally over as the trailer of the much awaited upcoming film Veere Di Wedding is out. 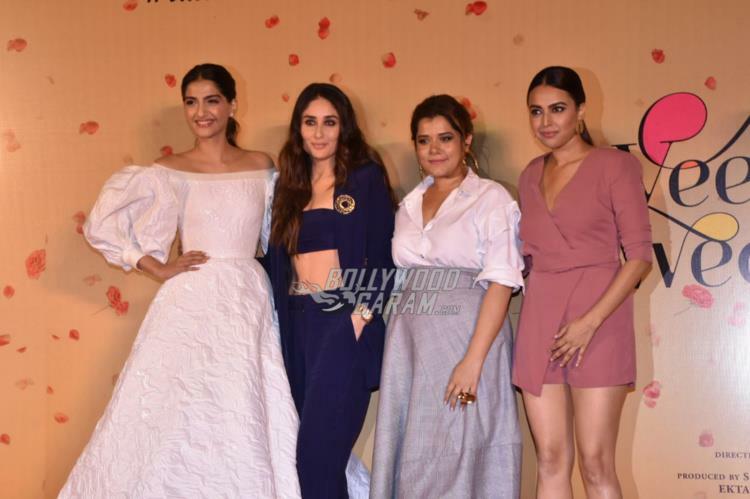 Bollywood divas Kareena Kapoor, Sonam Kapoor, Swara Bhaskar and Shikha Talsania launched the official trailer at an event in Mumbai on April 25, 2018. The trailer has shown four best friends who no matter what are there for each other in every situation. 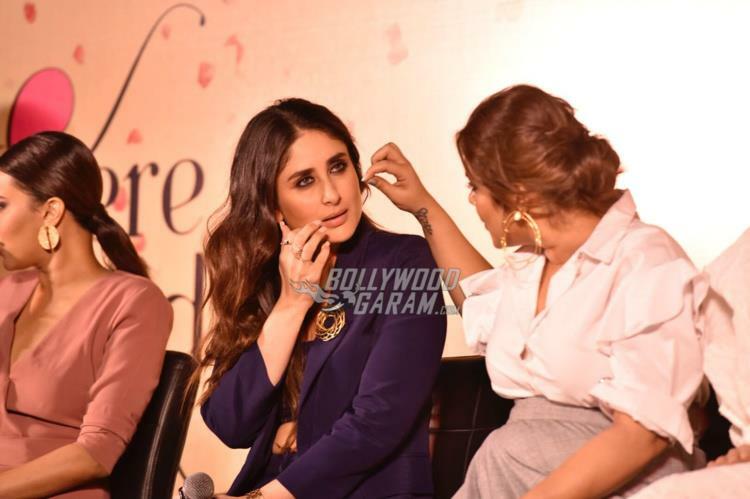 Kareena Kapoor looks gorgeous and you cannot get your eyes off her. The quirky trailer begins with the girls having a chat session with drinks and talking about the harsh facts of life when they need to get married as an obligation to the society and family. Like Kareena had revealed earlier, it is her wedding happening in the film. The trailer begins with the friendship of four girls who love to have fun. Things take a different turn when one of the friends gets a marriage proposal when it was least expected. Going by the trailer, the film focuses on the struggle of a woman while adjusting to the new lifestyle after sacrificing her carefree life. Kareena for the launch event looked gorgeous in a blue trouser, with a matching bralet and a matching jacket while showing off her flat abs. Sonam looked pretty in a white maxi outfit with bulging sleeves. Swara too looked pretty in an onion pink playsuit while Shikha was seen in a white top and a checked asymmetric skirt. 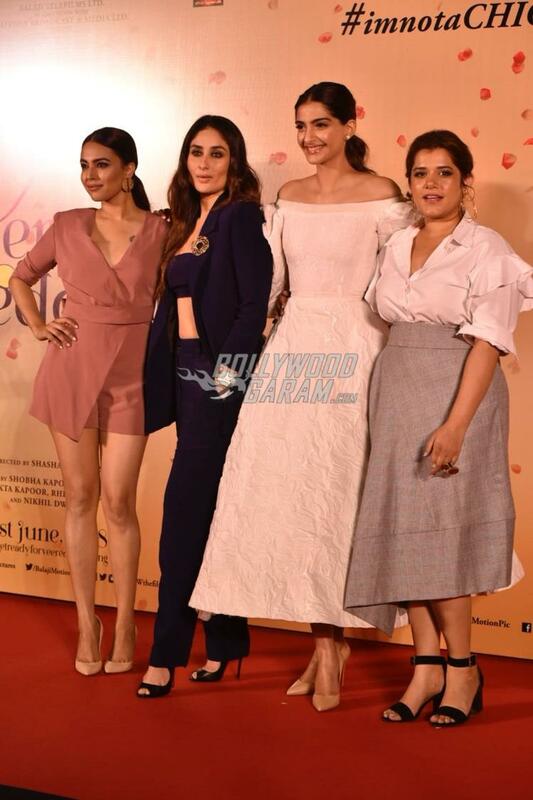 The film Veere Di Wedding is due to be released in theatres on June 1, 2018.